The rains have come and so have the mushrooms. Finally, after a long hot and dry spell, the rain has come and within days the mushrooms have begun to fruit. Last week we had a couple of drizzly days, then a good dump Thursday night with some lightning and thunder. There is a traditional belief, still held by many, that it is the lightning or the thunder that is the stimulus for mushrooms to appear. Myself, I think it is the rain fall that also commonly comes with a good thunder storm. 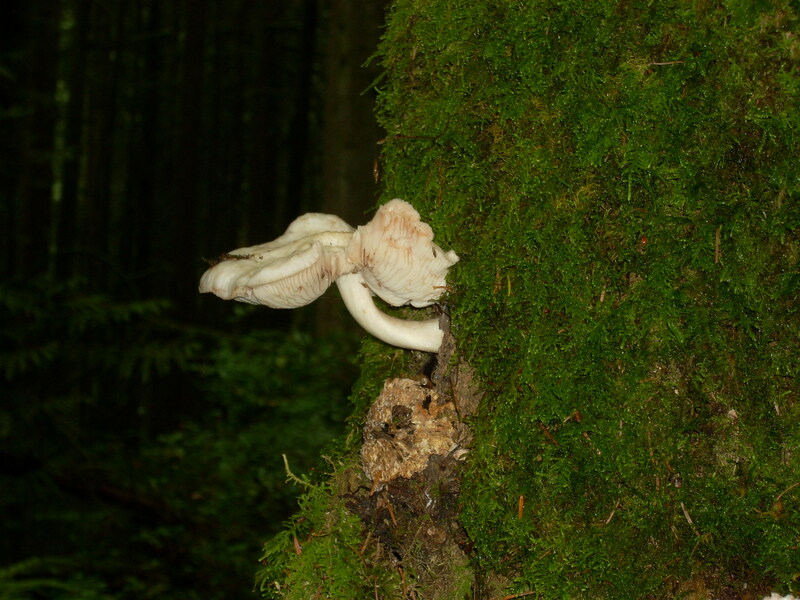 It is the moisture that the mushrooms have been waiting for, using that hydraulic pressure to push their heads up through the forest floor. Earlier this week, one of my fellow mycophiles was up at mid elevation on the local mountains and reported seeing many Chanterelles just starting to bud. He took some pictures and posted them to me, then picked a few that he intended to combine with some wild rabbit he had harvested. On Friday, this last week I decided to see what I could find in a couple of my special spots that I had good success with last year. 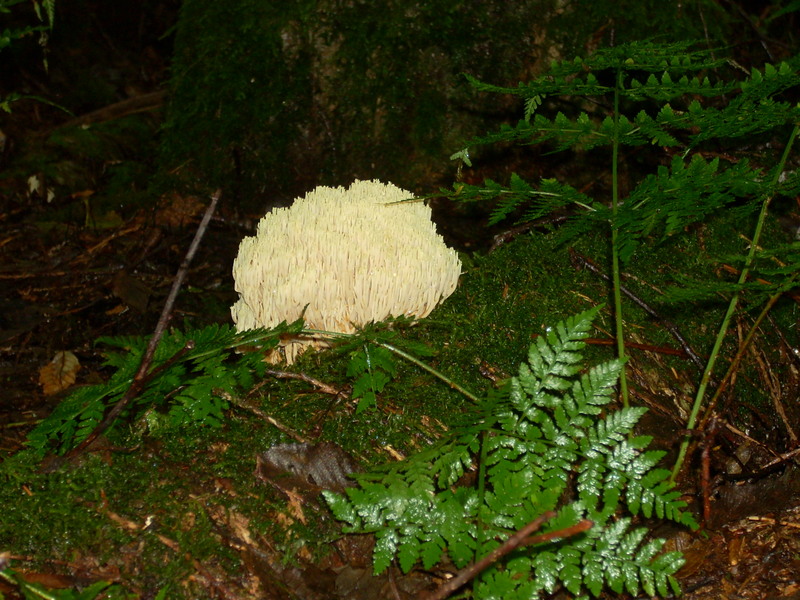 We had some friends just visiting from Saskatchewan, so decided to have a nice walk in the woods and mushroom foray. We had some success. These are what we found..
We picked only a few as they were small and very dense. There were many just poking up through the moss, but I decided to leave most to let them grow. The handful I did pick smelt fantastic. Not having many, I made a dill, green onion and cream sauce that I added them to. I then used that sauce to covered some of my bread-dough-dumpling-beet leaf rolls. Delicious they were!!! 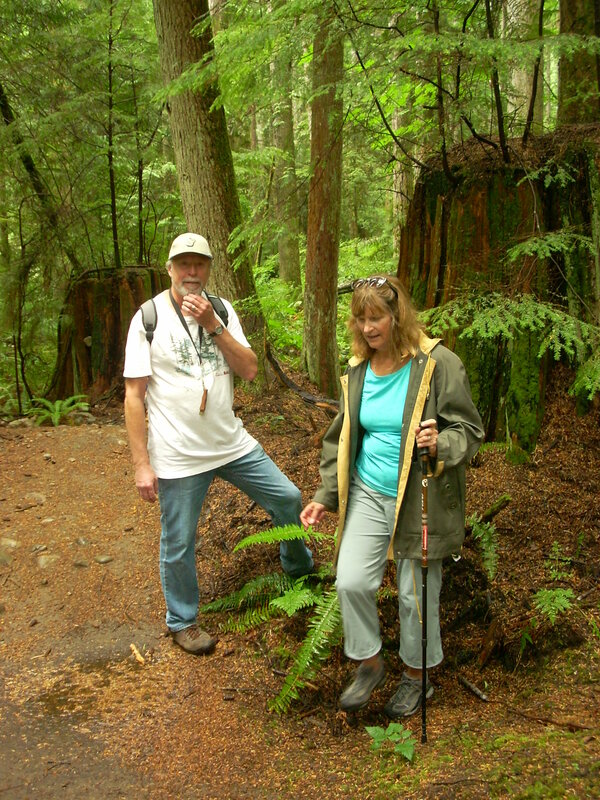 Our friends really enjoyed the hike and were really taken by the size of some of the trees and the many shades of green in the forest. 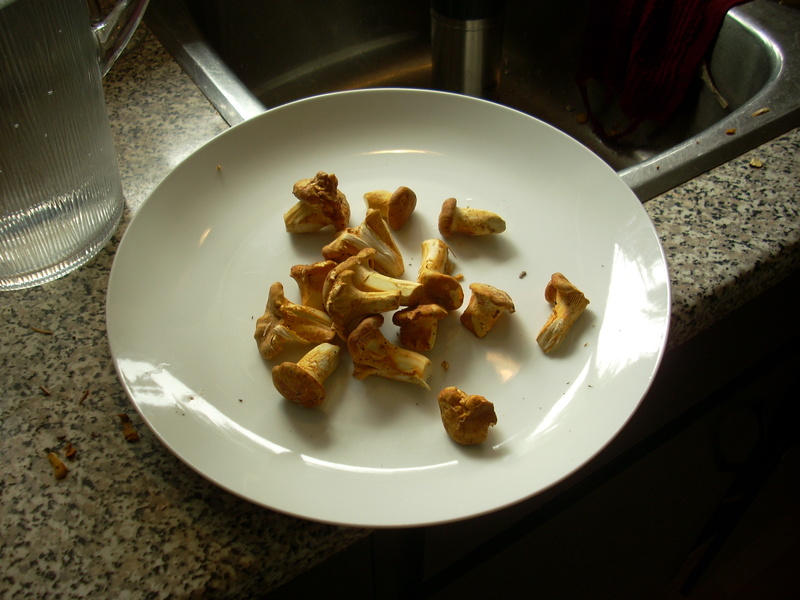 A bit more up and down that a usual hike on the prairies, but they did well and savored the creamed Chanterelles for a late lunch. 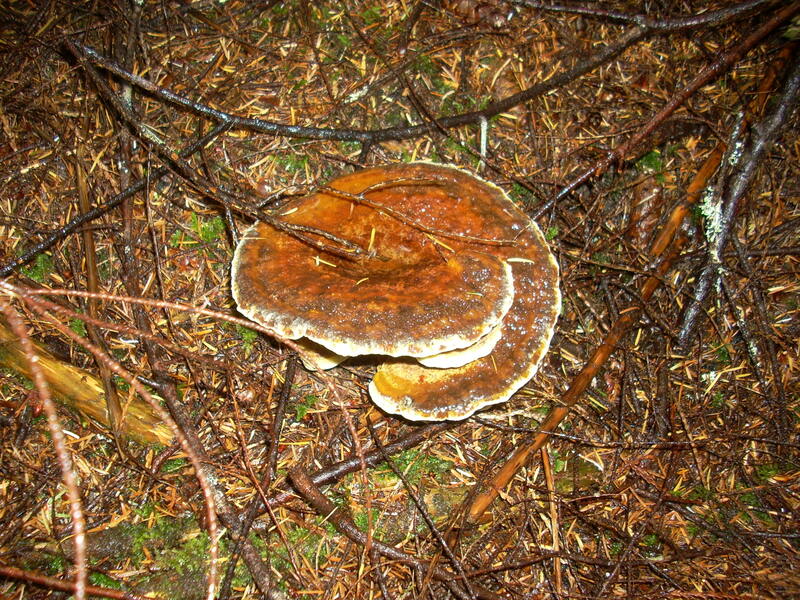 Besides the Chanterelles we also sighted a few more species. 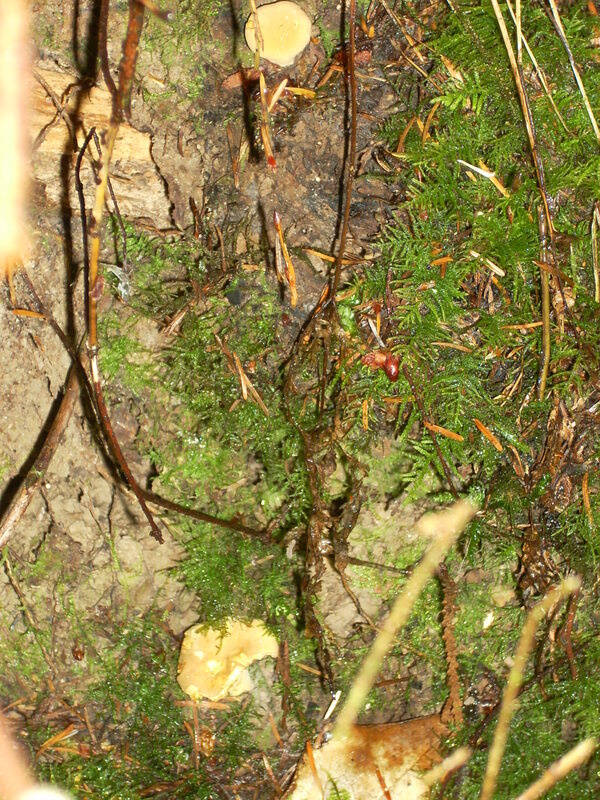 From the top upper left, this is a very young sulfphur shelf, or Laetipours sulphurues; next to it is a Deer mushroom, or Pluteus cervinus, although it may not be, as it was all white….I will keep checking my reference books on this one and get back to you. 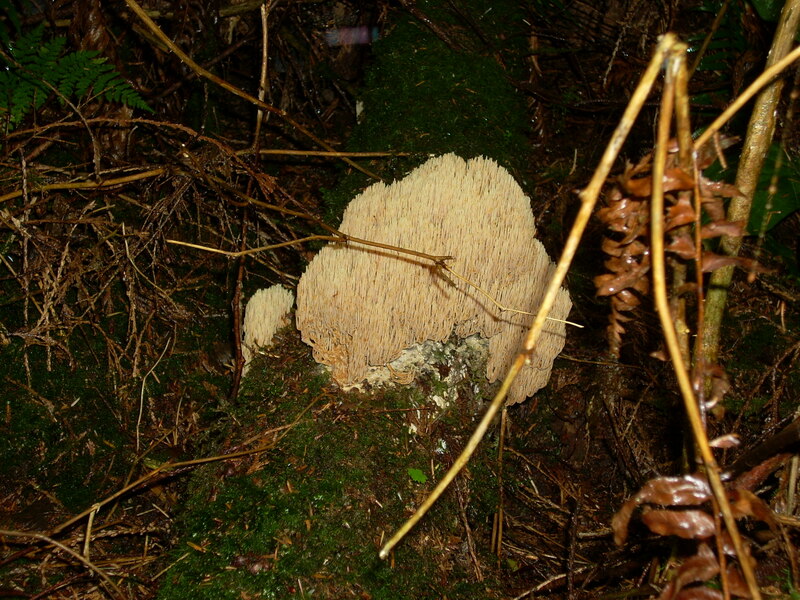 Middle left hand picture is a Dye Polypore, Phaeolus schweinitzii; next to it a lovely Crested Coral Fungus..Clavulia cristata; the same on the lower right , which spread for between 20 or 30 feel on a fallen log. Now as I look to it again, it may be member of the Ramaria formosa complex, although those are usually pink and this one was creamy white. 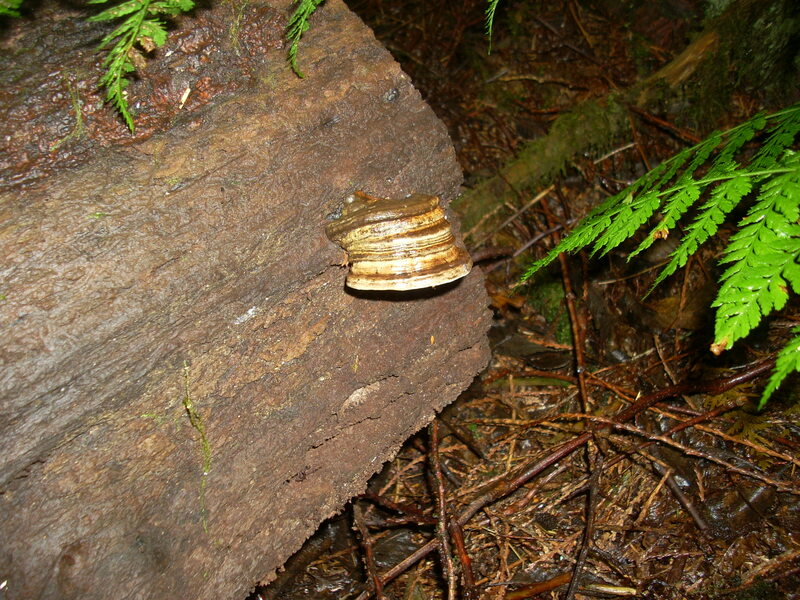 lastly, on the bottom right is the Tinder polypore – Fomes fomentarius, also know as the tinder conk or horse’s hoof fungus. There you have it, things are starting to happen, so head out there and start enjoying the hunt and the finds. In the next couple of weeks if the rain continues on and off as it is predicted to fall, I will planning some forays into the woods. For all you SCSHROOM members, watch for the emails, and for people wanting to join us, a membership is only $20 for individuals or $25 for a family. 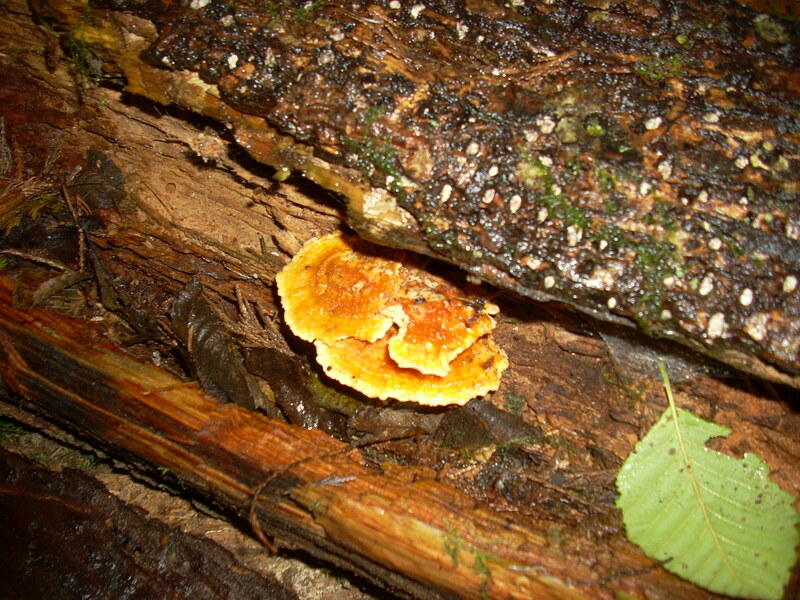 Check out the web site @ http://www.scshroom.org for more information. Hope to see you on the trails some times ( but not in my secret spots)! coatalshroomer. Yaay! And I found my first Phaeolus yesterday in our back 40. Time to start searching in earnest. I will hang onto the one I found for you Ann and any other dyers I find and get them to you at our next meeting.